Media products and practices are commonly considered part of a discrete realm called “culture,” and even though we now recognize the centrality of media systems in technological and military histories, the connections between media and economy remain understudied. In this talk I describe Bombay’s early talkie film industry (1930s-1940s) as a sprawling, multi-actant cine-ecology wherein content, form, capital, and credit were fundamentally imbricated. I look at the thick entanglements of an increasingly financialized social realm, film content, speculative commodity forms, and a penchant for wagering in late colonial Bombay. The colonial government’s treatment of cinema as “culture” rather than “economy” created a space of opportunity for film practitioners who infused the new talkie form with a speculative momentum that was critical to its consolidation. I begin with the fundamental instability of film as commodity, as framed in a Bombay High Court judgment from 1940 which declared that any attempt to predict a film’s commercial viability was an act of speculation unsupportable by the empirical-rational logics of the courtroom. I argue that one of the reasons for Bombay’s meteoric rise as a production center was its openness to both non-modern (monsoon and cotton futures markets) and corporate financial practices premised on speculation, an openness that attracted a nascent group of entrepreneurs who were sensitive to increasing colonial scrutiny and attuned to the productivity of risk. 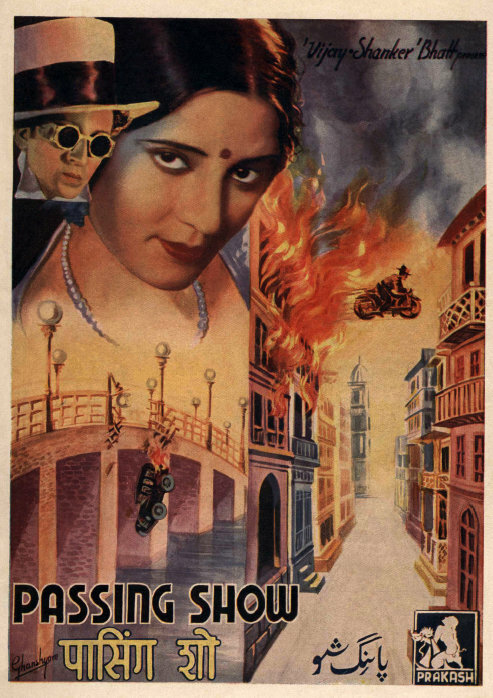 Intersecting with these monetary economies is the presiding imaginary of Bombay city – speculative anticipation and financial hustle – represented best in the films of the 1930s and 1940s. Interestingly, the films produced in these years obsessively present disparate careers of capital and romantic heterosexual couplings challenged by anxieties of stock crashes and gambling debts. Debashree Mukherjee is an Assistant Professor of film and media in the Department of Middle Eastern, South Asian and African Studies at Columbia University in New York. Her current book project, “Bombay Hustle: Practicing Modernity in a Colonial Cine-Ecology,” presents a practitioner's eye view of the early Bombay film industry, bringing material histories of labor into dialogue with archival ethnography. The book draws inspiration from Debashree’s own experience of working in Mumbai's film and television industries in the early 2000s. She has published in various academic journals and anthologies and co-edits the peer-reviewed journal, BioScope: South Asian Screen Studies. As a curator, Debashree most recently presented a collection of rare production stills and behind-the-scenes photographs from the 1930s in the exhibition, “A Cinematic Imagination: Josef Wirsching and the Bombay Talkies” at the Serendipity Arts Festival, Goa (2017).